I know, I know. Snow in the forecast for today and tomorrow and I am blogging about summer, but this is the time of year to start thinking ahead about what the kids are going to do in the off time for summer vacation! Here is an idea Art Camp! Everyone loves to create and this is a great opportunity for your kids, heck, or maybe you too! Rosemarie Morelli Crocker, art teacher extraordinaire is offering her summer art classes and they are filling up fast. I can vouch first hand that Rosemarie is an excellent teacher. For a couple of different reasons. Last summer my nieces took classes from her. They loved them. They learned a lot and produced some amazing pieces of art no less! I was so inspired by their art work, that I signed up and have taken classes with Rosemarie. She is an terrific artist with a dynamic teaching style. Learning, I am, just starting on my second oil painting under the guidance of Rosemarie. The kids love her. You will be amazed with what they learn and produce. And, they will have fun doing it! Looking for a home in the area? Looking to sell? 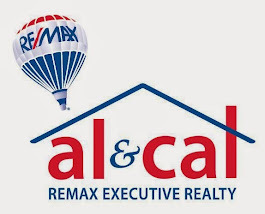 We have been selling and marketing real estate locally for the past 24 years. My daughter and niece went to Rosemarie this past summer and I was totally taken aback by the work they created....beautiful just like your Oil Painting. It takes someone special to guide you when creating something like a drawing or painting and Rosemarie seems to have that talent. (Just like you do when it comes to Real Estate). Love your blog! Thank you Nancy. Snow day or school day?